Q: I feel like my skin has started to sag just a bit more the past couple of years. I don’t think I’m quite ready to get a face lift, but what cosmetic procedures should I consider doing now to help slow down the sagging, and what are the typical downtimes involved in these procedures? A: As we age in our face, volume is lost in many areas due to structural changes in bone, muscle, fat, skin and ligamentous support. The aging process is multifaceted and can be very different in each person. One of the easiest steps is to review your habits, activities and exposures during the past year. Some of these changes can be related to diet or fluctuations in body weight, exercise level, ultraviolet light exposure and smoking which can have a profound effect on accelerated aging. 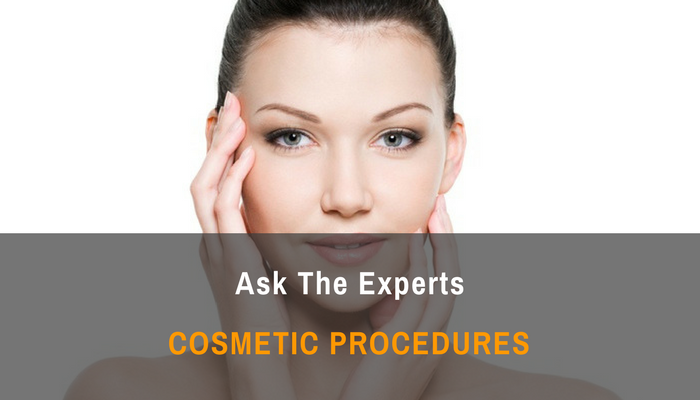 Dermal fillers have become popular for facial rejuvenation in the past decade. They can be permanent or temporary. The permanent products may need to be supplemented in about one to two years. The temporary products may need to be supplemented in six to 18 months. They typically can be performed in the office with topical anesthesia and/or local blocks. The entire process is usually done in a 20 to 60 minutes. The costs can vary depending on the severity of volume loss and patient expectation. The downtime is typically just a couple of days; however bruising may result which could last a couple of weeks. Another option is fat transfers which are typically done in the surgical suite due to the intricate processing of the fat. The costs are higher due to the use of the surgical suite. The downtime is typically three to four weeks due to bruising and swelling. However, larger volumes can easily be injected with a longer-lasting (at least two years), more natural and youthful result.